The mobile payments service has been available in the US and South Korea for a few months now, and more markets will follow in early 2016. 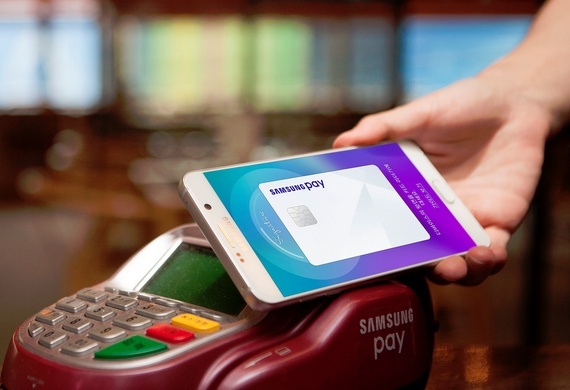 Samsung unleashed its mobile payments service simply known as Samsung Pay in South Korea and the US at the same time as the Galaxy S6 and Galaxy S6 Edge flagships. Since these two high-end handsets have been globally available for a while now, expanding the reach of the mobile payments service is a natural move. According to an exclusive report by SamMobile, the list of countries that will gain access to the Samsung Pay service in the first quarter of 2016 consists of China, Spain, and the UK. In addition to the two Galaxy S6 handsets mentioned earlier, three more Samsung devices can be used with this service - Galaxy S6 Edge+, Galaxy Note 5, and the Gear S2, which only supports NFC payments. Competing services include notorious Apple Pay, as well as Android Pay and CurrenC. Samsung acquired LoopPay for $250 million to gain access to MST, the technology used by Samsung Pay-enabled devices. MST stands for "magnetic secure transmission" and emulates what happens when using a regular credit card, thus making supported devices look like one.